Dr. Rothman has been practicing optometry for more than thirty years. He is a graduate of the State University College of Optometry where he received the prestigious Billie Lyons Award and Coleman Award for clinical excellence at graduation. He did special training in vision therapy after graduating and has emphasized this aspect of practice all along. Dr. Rothman is a Fellow of the College of Optometrists in Vision Development, which required him to demonstrate special proficiency in the areas of vision therapy and behavioral optometry. This fellowship also requires him to maintain continuing education credits each year in this area. He is also a Fellow of the American Academy of Optometry, which required him to demonstrate special proficiency in all areas of Optometry. He is the recipient of several service awards both professionally and non professionally. In addition to his Livingston practice, Dr. Rothman is an Associate Clinical Professor Emeritus at the State University of New York College of Optometry. He was involved in educating the optometric students who would soon be his colleagues. Dr. Rothman supervised students in the Vision Therapy clinic at the college and had also supervised students in the general optometry clinics. 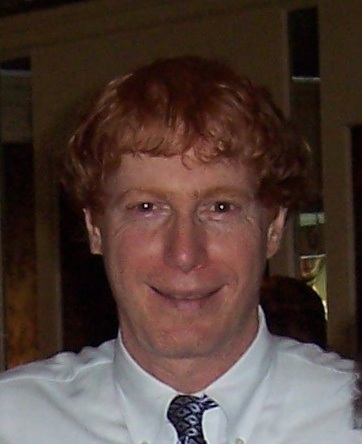 He was an instructor in the college's course on Practice Development and Administration for 25 years..
Dr. Rothman has served his profession as an officer in his local optometric society, as a Past President of his college's alumni association and on numerous committees and task forces. He is the general chairperson of the Eastern States Optometric Congress a behavioral vision congress held each year in the spring. Dr. Rothman has lectured nationally on a variety of topics. He has also been published in several optometric publications and is a contributing author of the optometry textbook Business Aspects of Optometry published by Butterworth.